Sewage backup poses a serious issue in both homes and businesses. Fortunately, 911 Restoration Hudson is here to handle any sewage issue. Hudson is at the forefront of community development and local, small business based industries. As one of the best places for young people to live, Hudson residents have their sights set on the future. Working towards success, you don’t have time to deep clean your sewage backup in your Hudson, OH home. That’s why our sewage backup Hudson team is here to offer top-notch service. We will respond to any emergency within 45 minutes. Call us now and get a free inspection today. Is Sewage Backup a Common Problem? Sewage backup is a common problem and our sewage backup Hudson technicians have seen many different causes that contribute to sewage backups in the area. For instance, if the sewage system is overloaded with waste or rising groundwater and storm water floods the system, a sewage backup could easily occur. Additionally, a sewage backup can happen when something blocks the sewage system itself. If you have accidently disposed of bulky waste products in your toilet, such as diapers or sanitary products, your sewer lines could quickly back up and cause your sinks to flood or a toilet overflow. Another interesting and perhaps unexpected cause of a sewage backup is an overgrown tree root. When your plumbing lines age, cracks and fault lines can appear on the pipes. When tree roots grow, they are attracted to these spaces and can grow into the pipe, causing a major blockage. If your sewer system was improperly installed, this could also be the reason that your sewer is not draining properly. Whatever you think the cause may be, our sewage backup Hudson team can not only clean up the mess, but also fix the original problem so it doesn’t happen again. 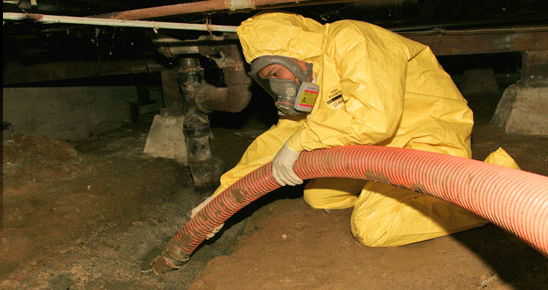 Give us a call today when you notice our home’s sewer backing up. Why is My Home’s Sewer Backing Up? Your home’s sewer could be backing up for a number of reasons which is why our sewage backup Hudson team can offer you a free inspection first. One of the main ways that a sewage backup can be prevented in the future is by installing a sewage back flow valve to your outgoing plumbing lines. Your sewage will stay out of your house once it exits. No backward flow will be allowed. This will prevent your home from experiencing a flood of raw sewage, black water or grey water in your basement or crawl space. You also won’t have to worry that your home will be ruined. When you learn about 911 Restoration you will soon discover we have the technology and knowledge to get your home back to normal. Contact our team today to find out how we can help you. How Can 911 Restoration Help Me with Sewage Backup? At 911 Restoration we can help you with sewage backup in a number of ways including using industrial strength cleaner to remove foul odors. Cleaning up after a sewage backup can be a challenging task for the normal homeowner and you should hand over the project to our sewage backup Hudson team. Our team works with all insurance companies so you never have to worry about burning a hole through your wallet. We’re experienced in dealing with issues like yours and use the latest drying technology to remove all the hazardous water and waste. Our water extractions and waste removal ensure that you get the best water damage restoration services possible. We have affordable prices and top-notch customer care. We know you want your home cleaned and we’re here to help. Call us today!